Susan “Sue” E. Burton, 66, of Elkhorn, formerly of Harvard, died June 21 at Rainbow Hospice in Johnson Creek, WI. Sue was born Nov. 16, 1951 to Stewart and Dorothy (Cole) Wells in Harvard. She married Everett Burton on June 27, 1970 in Harvard. 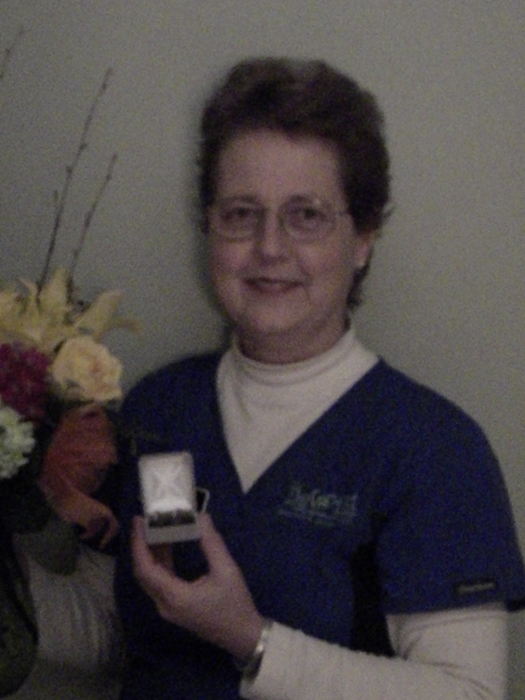 She was an exceptional dental hygienist for 46 years and had worked for Dr. Emile Gelinas in Harvard, Dr. David Janes in Woodstock, Dr. Jeff Winn in Delavan, Dr. John Patrick Smith in Delavan, and Dr. Ben Johnson in Delavan. Sue was a member of the HCE Homemakers Club of Millard Church and Whitewater FFA Alumni. She enjoyed hunting and loved spending time with her grandchildren and watching them play sports. Survivors include her husband: Everett Burton of Elkhorn, 2 children: Sean (Nancy) Burton of Argyle, WI and Sheila (Mike) Ruhl of Elkhorn, WI, 2 grandchildren: Mitchell and Kailey Ruhl of Elkhorn, father: Stewart Wells of Harvard, 2 sisters: Peggy Jenkins of Harvard and Mary “Cathy” (David) Joslyn of Hebron. She was preceded by her mother: Dorothy, mother and father-in-law: Helena and Seymour Burton, and brother-in-law: Donald Burton. The visitation will be from 4-8 PM Mon., June 25 at Saunders & McFarlin Funeral Home, 107 W. Sumner St., Harvard, IL. The funeral service will be at 11 AM Tue., June 26 at Trinity Lutheran Church, 504 E. Diggins St., Harvard, IL. Pastor Claire Brennecka will officiate. Interment will be at Mt. Auburn Cemetery in Harvard. Memorials may be made to the La Grange Fire Department, W6080 US Highway 12, Whitewater, WI 53190.